Here at MVMG, we’re huge fans of WordPress. We’ve written multiple articles about why we think WordPress is the best CMS out there. To make it even better, there’s a little-known feature built into WordPress that most users simply don’t know is there- called Multisite. So, what is WordPress multisite? Read on and find out. This powerful feature enables you to networks of sites like WordPress.com, build a multi-department website like MVMG’s own website, or our favorite use is for multi-location and franchise application where each location or franchisee gets their own site which has brand control by corporate. Multisite functionality is a very powerful tool and can help your business or institution in many different ways. This guide is designed to give you a complete high-level view of WordPress Multisite vs. single site WordPress. What that means is that a multisite is one code base or set of application files and one database that control how multiple sites (sometimes called sub-sites) act inside of a network. A “network” is the term used to describe a collection of sites. While these sites do share the same code and database, they each have their own settings, content, but share users. While themes and plugins can be shared, different sites within a network can have a different theme and/or different plugins activated, or they can all share the same. It’s up to you. Multiple sites for franchise or non-franchise companies who operate a multi-location business all with the same features and branding. Companies or freelance web professionals that want a single place to control all of their clients’ websites, themes, and features (plugins). We’ll touch on these use cases a bit later on in the article. Before answering “what is WordPress multisite” fully, we first need to explain how a single WordPress site works. All WordPress consist of application files and a database to store information and settings. 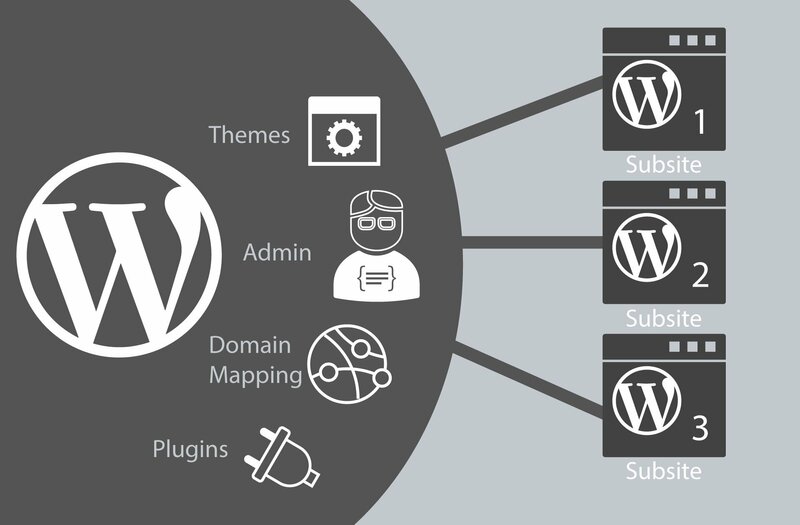 These are the default application files and control most of what WordPress does including pages, posts, uses, comments, settings, URL handling, login, and lots more. These are files located inside your installation that control how your public pages look and feel and can also add features as well. These files are specifically designed to add function, though some styling may occur, depending on the system. Example plugins would be for e-commerce, social sharing, forums, events, SEO, and loads more. This is for user uploaded media such as images that you would use on your pages and posts. The site gets one uploads folder which has sub-folders to keep them organized by year and month of the upload. The database is next and is a core feature of not only WordPress but other CMS and applications as well. Each installation has a number of defaults tables which contain columns and rows to store data. When you make a page, post, change a setting, add a user, etc. that information is being stored in the data base. There are 11 default tables for a standard installation. All single installs have a default prefix of wp_ for the table name. So, the post table is named wp_posts and the user table is named wp_users as an example. Most plugins will also register new tables for their settings when you turn them as well. Depending on the amount and type of plugins you have, you could have a lot more than just the 11. It’s important to know that when you make additional single site installs, you are recreating all of the above. So, if you have a WP site at example.com, then create a sub-domain new.example.com and install a new WP site there, these are two separate single site installs. How Does WordPress Multisite Work? So, in a single installation of WordPress, it’s one set of application files and one database per site. In a multisite, however, multiple sites share the same application files and database. Here’s an overview of the difference between a WordPress single and a WordPress multisite. The first and most notable difference you’ll notice on a WordPress multisite is the admin. There’s an additional admin page “Network Admin” which allows you to admin all of the sites. There’s also an additional user role added called “Super Admin” which allows a user to access the network admin area and all sites within a network. The way that the files function gets a pretty big change in operation, but not in the folder structure. The core files don’t need a change at all, except for 2 small snippets in the wp-config.php and the .htaccess which we’ll cover later. Otherwise, there’s no change. WordPress already had the code for multisite built in and has for quite a long time now. The themes stay in the same folder location on the server, but functionally there is a change. First, only super admins can install themes and plugins. 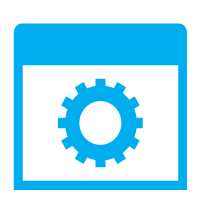 Super admins can manage these themes and either Network Enable a theme making it available to all site or to individually enable a theme to allow the site admin to activate their theme. In other words, site admins can only activate the themes that a super admin enables. This is useful if say you want to only allow one theme for branding purposes or to ensure that your collection of themes meet some coding standards you set. Similar to themes, the WordPress plugins don’t change where they are located but do change how they work. Also, like in theme, a super admin is the only role that can install a plugin. Then, the plugins are available to enable on each site by the site admin. Optionally, a super admin can force on a plugin for all sites in a network by “network enabling” them. This can be helpful if there are some features you want all sites to have such as a sitemap plugin, but others you want the individual sites to be able to choose what they have on. You can network enable as many plugins from zero to all. 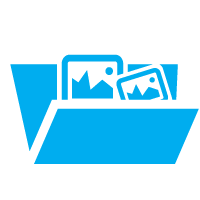 The only real difference is that inside the uploads folder, there will be additional folder structures added to keep each new site’s media separate. When a new site is created, it gets a unique folder with the site ID and inside that, it also has year and month folders to keep the media organized. The database gets quite change in a multisite. First, the user tables get used for all sites in the network. 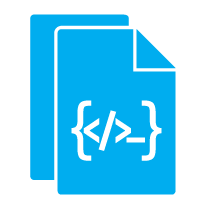 While each site can have its own user or shared, they all are stored in the wp_users table common to the network. Next, there are either six or 7 (depending on settings) that are created to store the information about the network and its sites. All of these tables are only there once for the entire network of sites. Then, you create a new site in the network, the database will duplicate 8 or 9 tables (depending on WP version) unique for each site. So, the next site made in the network will be given an ID of 2 and it’s database tables will all have the prefix wp_2_. So, the posts table for the second site would be wp_2_posts as an example. 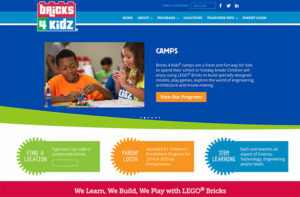 When building franchise websites, there’s almost always a need for a consistent brand across the entire franchise as well as the need for each franchisee to be able to add their own content within a site just for them. This is a perfect fit for WordPress multisite. Here’s how it typically works. You create a WordPress multisite, then either buy a good theme or custom develop your own theme (a better idea for franchise use). Then create sites for each location, territory, or other designation of franchisee that your company has. Every website in the multisite network would get the same theme and plugins to get the same functionality, look and feel. Then, each owner would be given access to the site that represents their franchise location. So, let’s say we have franchisecompany.com. Then, we could have franchisecompany.com/location1/, franchisecompany.com/location2/, etc. with each sub-site controlled by the owner while retaining master admin for all sub-sites in your network. Very similar to the franchise sites, education institutions can use this feature to give sub-sites to departments like sports, music, art, etc. while having the root site for the overall institution. This allows each department to have its own blog for announcements, control its own users, and have its own information. Another option would be to have the sub-sites be for individual classes and be able to have the teachers control their class content. If you were to add an LMS (learning management system) to this model, you could very easily run your class content as well as testing through this site. The University of Mary Washington is one such example. Another really great use for WordPress multisite is multi-department corporate websites. In fact, OUR website is a multisite! We have several sites in this network, one of which is a private internal site for company training and policies. You could also easily make a new site for departments like sales, finance, operations, marketing, etc. and each could have their own news, files, members, etc. Another great use is to separate big corporate functions into sub-sites for employee access reasons. Let’s say you have a corporate site and you want to have a jobs section. If you develop that in the root site, then any other person that has appropriate access to that root site could also see your employee applications. A better idea would be to create a /opportunity/ or /jobs/ site and only give access to your HR team. You could do a similar action with say an e-commerce shop or other major systems. I think there’s no better proof in the pudding so to speak than some of the biggest sites on the planet using multisite. BBC America and New York Times are just two examples. In both cases, they make sub-sites for each major topic like politics, finance, lifestyle, etc. and then assign authors to the topics they are allowed to write in. For very large publications, this is a great way to keep sections of content and users in their own area. The last major use case for WordPress multisite is to offer hosted web solutions like wix.com or similar. 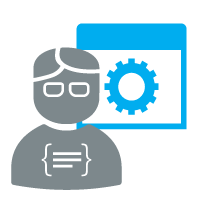 Developers or agencies can build a network and put many themes for users to select from. Then have a payment system that will allow people to sign up, create their own site, pick from a selection of prebuilt themes and easily and quickly make their own sites. The biggest example of this is WordPress.com. WordPress.com is a hosted service version of the open source WordPress.org software that uses multisite as its platform. However, there are so many more that use this same technique. Okay, so we’d be doing you a dis-service if we didn’t talk about the pros and cons in our WordPress multisite guide so here goes! Decreased management time: with a single install, you only have to maintain one instance for all sites in the network. This means updating WordPress, themes, and plugins only has to happen once. Brand control: like I mentioned in the franchise example above, you can have all sites on the same theme and ensure brand control. If you change something in that theme like colors, for example, they change for all sites. Security: any security measures you put into place will affect the entire network of sites which decreases your time and budget to do so. Domain authority: instead of having a bunch of sites all with different domains, all of your sites (by defaults) will use the same domain like site.example.com or example.com/site/ meaning that the more sites you have the bigger and stronger your domain appears to Google with increases your domain authority and SEO value. Database: only one database to maintain which can make this cheaper in the long run. Security: if your security is weak, then all of your sites are effected and not just one. This could take down all of your sites and means you need to take security seriously. Domain authority: If you have a lot of bad content, having so many sites with bad content can just as easily hurt your domain as help it. Make sure you have good content and this is a non-issue! Hosting: since you’re combining so many sites into one, your hosting needs to be really good and very fast. No $3/mo. cheap shared hosting plans here unless you want your site to run as slow as a snail. Database: If you have database corruption or aren’t properly managing this, you can bring down your entire network. Multisite are fantastic and can potentially save you a lot of money in the long run. However, there are many considerations that you need to know before going down this path. The main thing is you need very good quality themes, plugins, and hosting. With themes and plugins, many of them do not work at all or do not work well with multisite. It’s best to ensure that you get your themes and plugins from a reputable source and that they claim multisite support. Otherwise, you could be in for some major trouble down the line. Hosting, as mentioned in the negatives above, your hosting needs to be fast and secure. We recommend Cloudways hosting which is a cloud based container hosting service and they have a quick install for multisite built in. The final consideration here is that your web team, internal or external, really needs to know what they are doing because any wrong move can bring down all of your sites. We offer multisite development services if you need a reliable company to develop and/or maintain your multisite network. 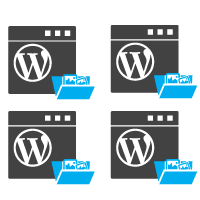 While there are a lot of multisite setup instructions out there, I prefer to give you the best source, WordPress Codex on setting up a multisite. If you need help on this, please feel free to reach out to us. As you can see, WordPress multisite is a great tool for web applications and can potentially save you a lot of money and make it easier for you to manage. Let me know in the comments what you think or if you have any questions.